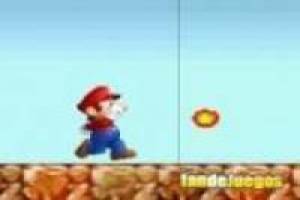 Mario Bros keeps adding titles to his list of online mini-games and this one you' re about to play is called Mario back in time. This new game of the most famous Nintendo plumber is composed of five levels, four normal and one final boss. In the game we will find an added difficulty and that our enemies are not the typical goombas or koopas, but rather they are small bombs that will go from one side to another trying to reach you. So it will not work, except to die, you jump on them because you can not eliminate them like that. The only way to kill them is to get the flower that allows you to throw balls of fire and that you can find in the blocks. Find mushrooms also to add one more opportunity that allows you to survive and reach the end of each level. Although at the beginning you will see all the levels, you will not be able to access the more advanced ones if you have surpassed the previous one, so you will have to unlock them little by little. Once again, Mario Bros needs our help to complete one of his missions and we will have to demonstrate our ability in the platform games to achieve it. 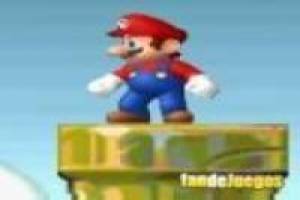 Exceed all levels of Mario back in time and comes to beat the final big boss. 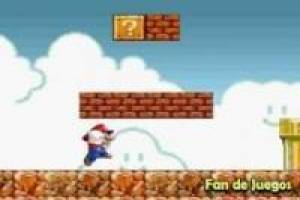 Enjoy the game Mario back in time, it's free, it's one of our Mario bros games we've selected.